Awbrey Park real estate offers its homeowners the best of what Oregon has to offer. Awbrey Park is an upscale neighborhood located within the city of Bend, Oregon. This posh yet elegant neighborhood is nestled in a beautiful, natural environment. The city of Bend is within the county of Deschutes. The county is adjacent to Jefferson County – (north), Crook County – (east) Harney County (southeast), Klamath County – (south), Lake County – (south, Lane County – (west) and Linn County – (northwest) counties in Central Oregon. Deschutes county is located east, in the foothills of the Cascade mountain range and enjoys 12 inches of rainfall per year. Awbrey homes are located in the 97701, 97702, and 97707 zip codes. 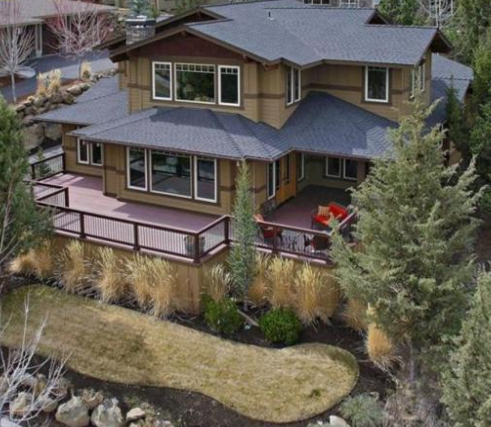 The median sales price for homes in Bend is $ 287,000. The mean price of homes per square foot is $ 157 per square foot. There are 59 public schools (elementary, middle and high schools) in Bend. Colleges and Universities in and near Bend include Central Oregon Community College and Oregon State Cascades Campus. The overall defining landscape of Deschutes County is primarily marked with of lava flows that have originated from the ancient Newberry volcano located just south of the city of Bend. National Parks in Deschutes County include parks include the Deschutes National Forest and the Newberry National Volcanic Monument. There are many things to do and to see in the city of Bend. Oregon . Bend is considered the “outdoor recreation capital of the world.” Bend boasts activities such as biking, skiing, mountain climbing, hiking, fly fishing and much more! Awbrey Park is an ideal place to live! It is Oregon living at it’s finest! Awbrey park is a modern, urban city nestled in a naturally, beautiful setting. The families and residents of the Awbrey Park enjoy both the modern conveniences of an urban lifestyle along with the peace and tranquility of its natural landscape , great parks, and many outdoor activities its residents can participate in throughout the year. Awbrey Park boasts great colleges and universities for students to attend. It is definitely a place to call home!